To distance itself from the well-worn roads of venerable strategy series Civilization, Sid Meier's Beyond Earth blasted clear of our planet, setting players down on a brand new alien world and asking them to colonize it. But while the new earths we were presented with were suitably strange — with floating rocks, blue soil, and roving bands of aliens — its humans were still humans, and Civilization was still Civilization. The turn-based strategy game ended up feeling a lot like previous games in the series rather than its own entity. Beyond Earth's first expansion, Rising Tide, is an effort to fix that by making alien worlds weirder. Two new planet types — frigid and primordial — serve up visions of Earth in an ice age or its early years respectively. Frigid worlds are covered in steely blue ice, their freezing temperatures meaning food supplies are low, while primordial worlds are wracked with tectonic imbalances and pockmarked with volcanoes. More outlandish (literally) are Rising Tide's new floating cities. These utopian visions of the future are fundamentally different to the game's previously landlocked settlements, expanding their borders not by the influence of Civilization's nebulous "culture" resource — fish don't watch much TV — but by actively moving through the oceans. Floating cities leave a tract of workable tiles behind them, allowing players to build up oceanic farms, generators, and undersea mines by bobbing their populations around the map. But even with these changes, Rising Tide's new alien worlds aren't all that different. Fittingly, by taking to the oceans, Rising Tide makes Beyond Earth feel more fluid. All of the game's groups can unlock the technology to build on the seas, but two of the four new factions start with the floating cities already unlocked. Playing as the brand new North Sea Alliance, I chose to splash my capital city down as far away from a coastline as possible and spent the first 50 turns building the necessities — production facilities, buildings to keep my populace healthy, and farms to keep their bellies full of delicious kelp-based snacks. With those in place, and two new cities growing in nearby seas, I started to move my capital around like a building-encrusted turtle. My maneuvers were originally intended to expand my borders, but as I realized my closest neighbor — the South American alliance led by Brazilian colonists — was significantly weaker than I was, my city became a waterborne Death Star. I floated to the edge of his territory and started the process of militarization. Civilization games have always had their AI problems and quirks, but even the computer could work out that I was planning something. Warily he came to me and demanded that we downgraded our relationship, one of Rising Tide's new features in a revamped diplomacy menu. That menu is simplified, now showing how much opposing factions respect you — and fear you. My neighbor was quaking in his boots, so I skipped over his suggestion to take us from friends to acquaintances, and simply declared war. Just a few tiles over from his capital, I brought my aquatic capital's guns to bear on his meagre forces, hitting them with rocket barrages before they had a chance to get too close. My own units, boats armed with long-range weapons I'd researched earlier, pummelled his home from just off the coast, taking its defenses out in three turns. I got extra help from a band of marauding aliens. As in the original game, these forces of nature roam the map, destroying farms and buildings until they're dealt with — either through technology that can tame them, or the liberal application of rocket to horrible spiky face. 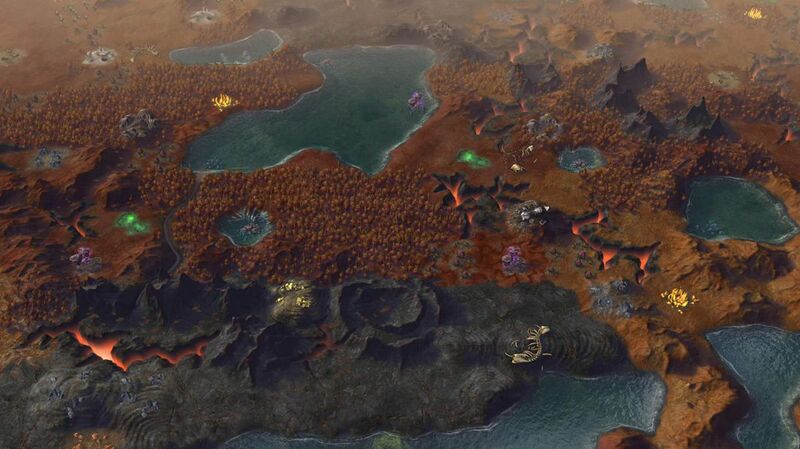 The wild edge of Beyond Earth was dulled by forcing players to be generalists, and even with Rising Tide's aquatic cities and odd new worlds, players are rewarded more for exploring various corners of the tech tree equally and balancing their economy more than they are for true specialization. Waterborne cities, for example, could have offered an opportunity to ignore cultural development entirely. But it turns out that doesn't decouple aquatic players from needing to generate the resource — culture is still required to develop new and beneficial traits. But Rising Tide does make strides to make this generalization more fun. Beyond Earth had players commit to one of three paths — Supremacy, Purity, or Harmony — that determined the special units they would have access to. In Rising Tide, players can meld these principles together, gaining access to powerful new hybrid units. I ended up with a fleet of Avengers-esque floating aircraft carriers, created from a marriage of Harmony and Supremacy philosophies that I'd built up through my decisions and research. They'd hover above my futuristic aquatic cities, spitting out weird green jet fighters, while invisible bipedal mechs stomped across the islands of the freezing far-off world I'd made my home. 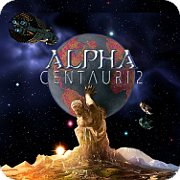 That markedly alien picture is further than ever from the 25-year-old image of the Civilization games, with their pyramids, religion, and printing presses. But the underlying game is still very similar — sometimes to its detriment. Even on harder difficulty settings there was a point in the late-game where I'd simply buckle down, secure my borders, and devote everything to research in a race for a technological victory. In the game's fiction, my scientists were researching a way to turn human beings into pure energy, creating a vast cloud server of immortal consciousness. In the real world, I was clicking "end turn" 50 times in a row while moving one or two units backwards and forwards. Victory, when it does come, is still underwhelming, and the new faction leaders introduced in this expansion don't add much personality to a cast of bland national archetypes. But while Rising Tide doesn't wash away the flaws of Beyond Earth entirely, it does streamline the game, adding features that make it easier to enact your vision of the future. New diplomacy options make your interactions with other groups easier to understand, and faction-specific focuses to these agreements — as well as spying, aquatic cities, and city processes — make it easier to chart your own course through the choppy waters of the early stages of civ-building. These stages are the most fun, as you battle aliens and make tough choices just to keep your ragtag band of settlers alive. Everything after that is just more Civilization. 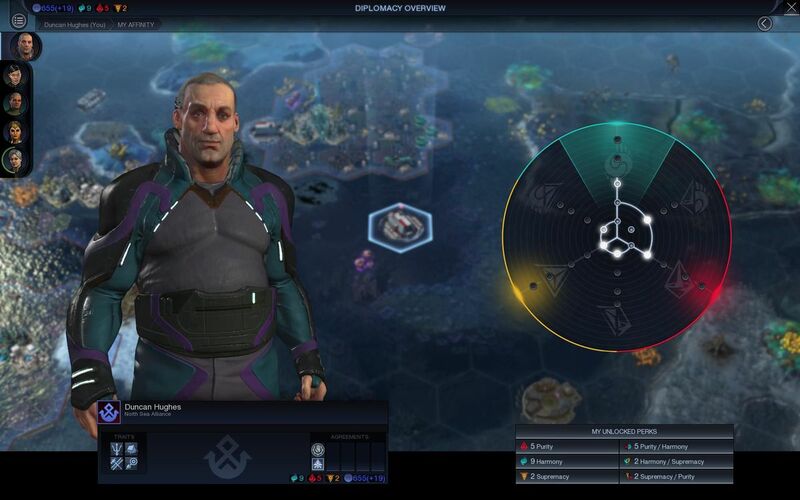 The Rising Tide expansion for Civilization: Beyond Earth is available now on PC and Mac.